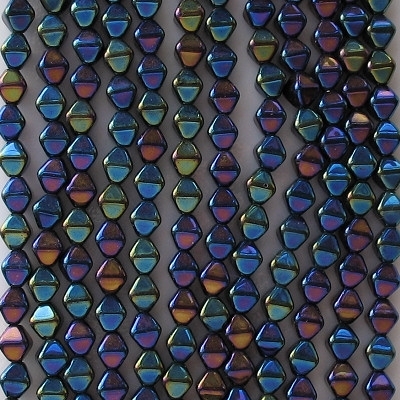 6mm bicones -- the bicone shape is like two pyramids joined at their bases, with the hole through the middle. 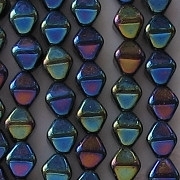 Glass beads (not sure which color) with a lustrous, metallic blue iridescent coating which reflects various colors in additional to blue, most notably olive green, purple and brown (the picture shows it best). The "iris" colors sometimes look good and sometimes look terrible. 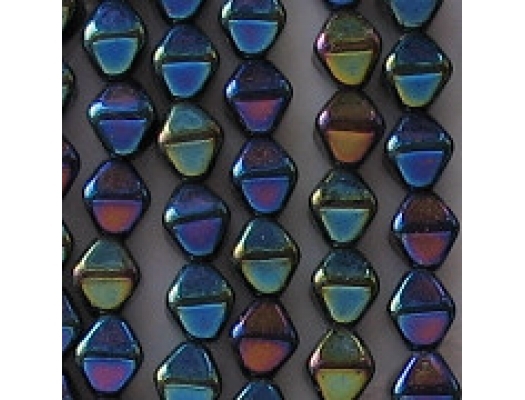 In this case, the beads are very attractive.